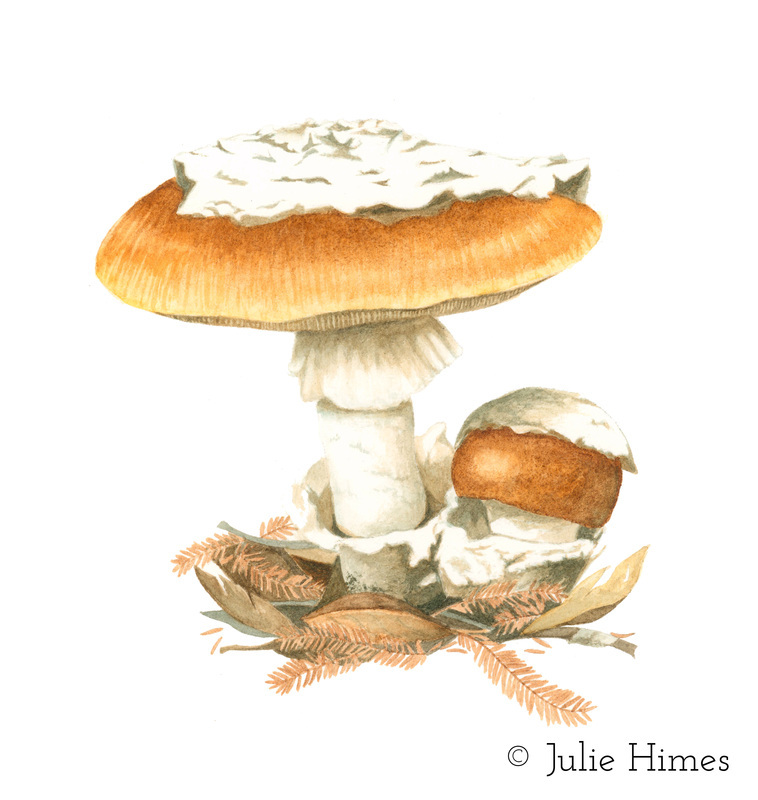 Amanita calyptroderma is a species found in central California forests. It is characterized by a white cap of veil tissue. This species is edible, but looks very similar to toxic species.